Young dancers in New Zealand are being given an incredible opportunity to learn from world-class teachers, at Dance Masters International. Frederic Jahn and Patricia Ruanne have worked with the most prestigious ballet companies on the planet, including the Royal Ballet, Paris Opera Ballet and Dutch National Ballet, and are now bringing their wealth of expertise down under. Run by husband and wife team Jos and Olivia Russell, Dance Masters International (DMI) holds seminars that give students access to the truly inspirational wisdom of Jahn and Ruanne. Born in Monte Carlo and England, respectively, these two artists have had remarkable careers as dancers and coaches and now consider themselves “caretakers of dance”. Having danced extensively with Rudolph Nureyev, their illustrious schedules now include working with the Nureyev Foundation, travelling the world to restage his ballets on top companies. 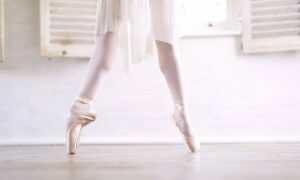 At the time of writing, Ruanne had just finished working with the Paris Opera Ballet, and was visiting her mother in Leeds before flying to Japan. 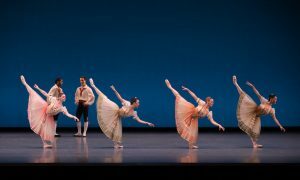 Then, after the upcoming DMI seminar in New Zealand, she will head to Vienna to mount Manon with the Royal Ballet team. For his part, Jahn had just returned from Trinidad, where he had choreographed a contemporary Giselle and was enjoying a break after 18 months “on the road”. He was about to head to an engagement in Suriname before flying to New Zealand, and then returning to Trinidad to work on yet another project. These truly are two active international artists, and the opportunity to learn from them is invaluable to any dancer. Open to anyone aged eight and above, the DMI seminars include daily ballet, contemporary, drama, repertoire, and Pilates and stretch classes, as well as a culminating performance. After three highly successful intensive workshops held in Christchurch, next month will see the first Winter Seminar to be held in New Zealand’s biggest city, Auckland. 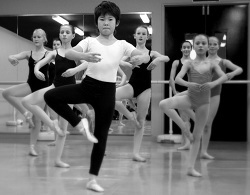 The Dance Masters International Winter Seminar 2012 will be held at City Dance Studios, Auckland, from July 1 to 10. For more information or to enrol, email dancemasters.international@gmail.com or call 022 670 2971. Learn from Australia’s best Tap Dancers!